It looks like the bulls started pushing the price upwards inside the third wave. 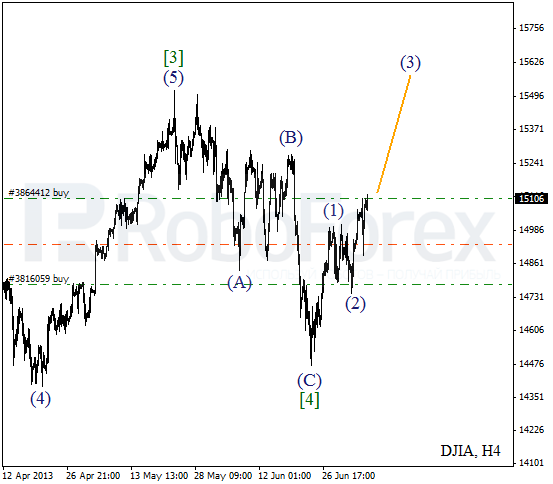 Earlier the Index completed zigzag pattern inside wave . There is a possibility that the instrument may break the historic maximum during this week. More detailed wave structure is shown on the H1 chart. 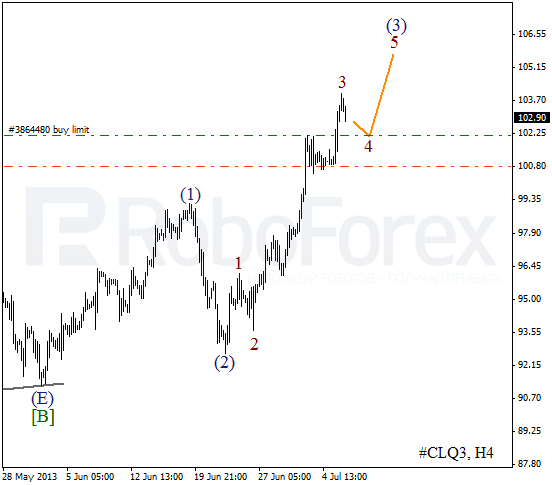 After finishing flat pattern inside wave (2), the price started forming an extension inside the third wave. The instrument may continue moving upwards inside wave 3 during the day. Oil is still moving upwards quite fast. 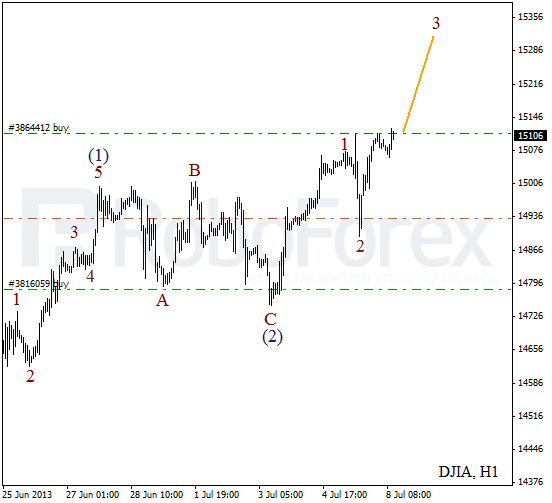 Last week the price completed an extension inside wave (3) and then started a correction. Later the instrument is expected to start a new ascending movement inside wave 5 of (3). As we can see at the H1 chart, Oil is moving inside an ascending channel. 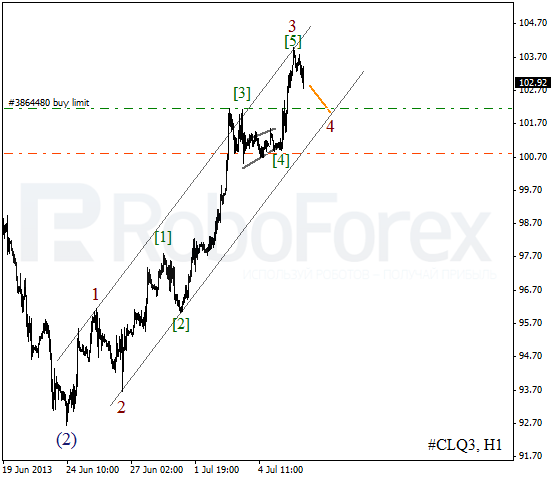 Most likely, the price will complete the fourth wave near the channel’s lower border. I planned to enter the market at the best possible price, that’s why I’ve placed a limit buy order..